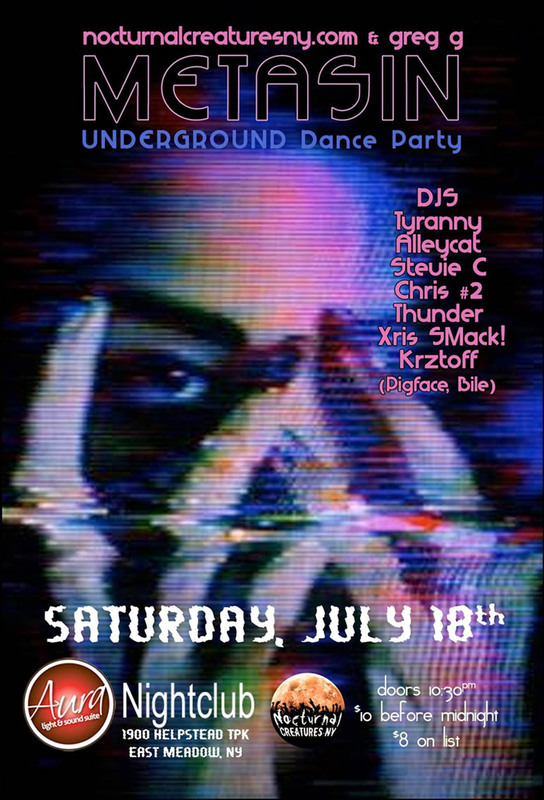 07/18/15 – METASIN Reunion w/KRZTOFF (BILE), Xris SMack!, Chris #2 \\\’farewell NYC\\\’ DJ set, Tyranny, Stevie Cee, Thunder Tom + more! METASIN Reunion w/KRZTOFF (BILE), Xris SMack!, Chris #2 'farewell NYC' DJ set, Tyranny, Stevie Cee, Thunder Tom + more! calling all you Nocturnal Creatures to join us! :BILE, Chris #2, Goth, Industrial, Krztoff, Long Island, Metasin, New Wave, synthpop, Thunder Tom, Xris SMack!